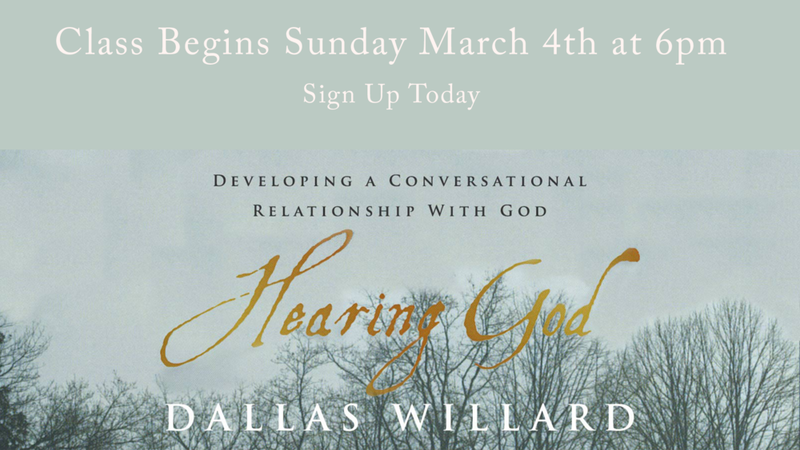 Starting March 4th, Jim Parrish will be teaching a six-week course on hearing from God from the book, "Hearing God." The class will start at 6pm on Sunday evenings and anyone is welcome to attend. There will be free childcare available if needed. There will be a cost to purchase the book. Please sign up for the class asap.